So everyone knows my truck made. 918/1629 on the dyno but I still use this thing everyday from daily driving to pulling a trailer every now and again. First tank of fuel netted 20.4 mpg on tune 3 with both city and highway driving. Today I went to Dayton Ohio with a bumper pull trailer with a rolling 1/2 ton chassis on it and went 289 miles on 16.4 gals of fuel netting 17.6 mpg. 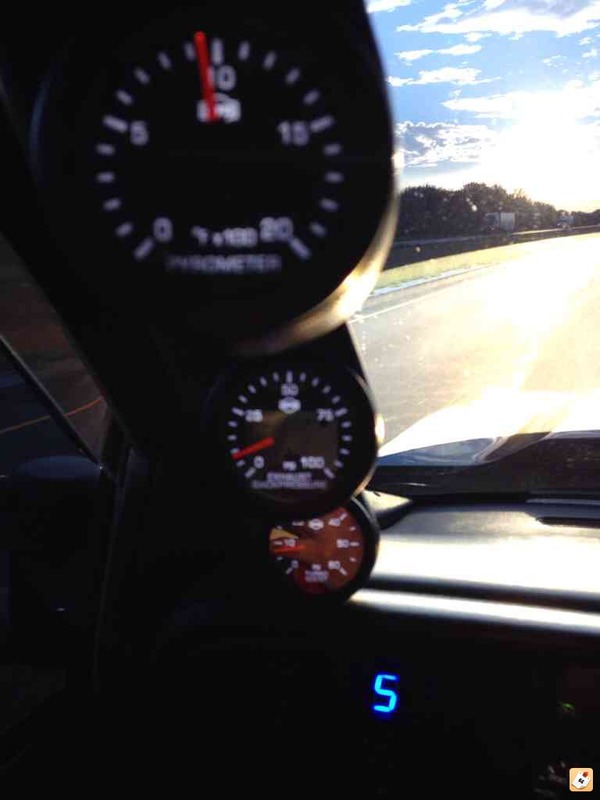 Here is a pic of the EGTs cruising between 75-80 mph. All around great charger that can do double duty if you use some common sense!!! !